Ferris Wheel Coaster - Free Pattern! I've got a new pattern for you guys! Nothing to wear this time (although feel free to make a dress out of them 😉) but something for your home! Ferris Wheel Coasters! I think they're rather stylish and classic looking if I say so myself! You can use them as standard coasters for drinks, or as I like to do, for Reed Diffusers! 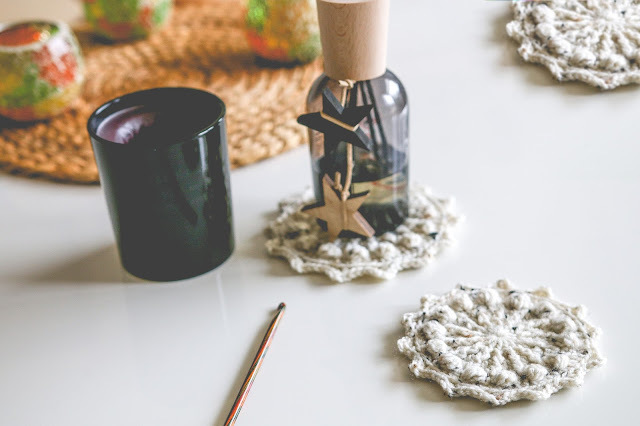 Pick a yarn that would look good in your living room to create some lovely home decor coasters! They're simple but not so simple that they are boring to make. The different types of stitches make for a fun crocheting experience, but still a pretty fast make! You'll make front post stitches, bobble stitches, you'll crochet into backloops and also make some faux picots, all in the same little project! Of course I won't just supply you with the written pattern, but also with a full length video tutorial! I've uploaded the PDF pattern on Ravelry as a free download! The PDF also features a link to the video tutorial, but I will also post the video below! I decided to go with a DK weight yarn for these coasters, as I still had some lying around from the Greystoke Hat. 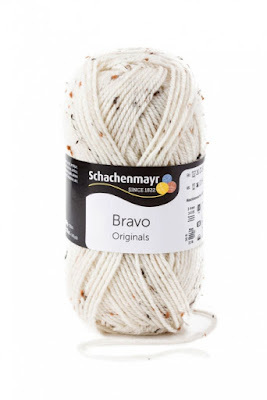 The yarn is by Schachenmayr and it's called Bravo. The colour is: Natur Tweed. I used a 3.5mm hook to make the coaster nice and dense. You can obviously use a different type of yarn as well! 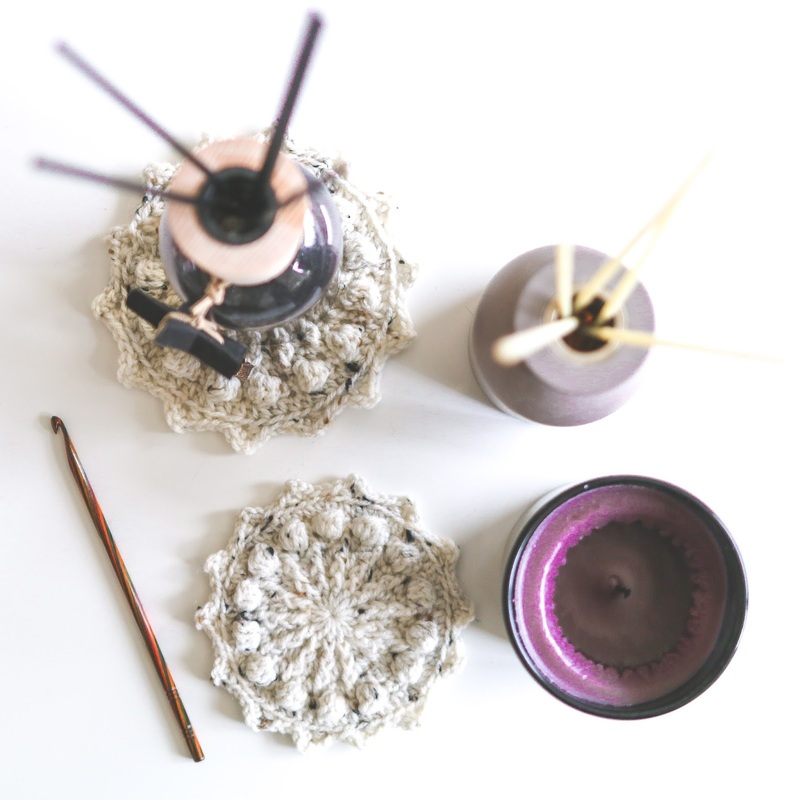 However, when you use a worsted weight yarn, your coaster will be a little bit bigger. Have fun experimenting with different yarns and different sizes! Cotton would also work great for these coasters! Please share your finished items with us on Facebook or Instagram. On Instagram make sure to tag us in your picture with @boysandbunting and also with the hashtag #boysandbunting so we can find your work! Thanks for putting this pattern online Dennis, I've not done much in the way of front post stitches or bobbles so it will be good practice for me!